We are at the Mandalay airport at 07h30. With us arrive another crew who told us they had a very frightening taxi ride from town to the airport, the taxi driver kept falling asleep. They kept shaking him, poking him to keep him awake. Now, that is something else. 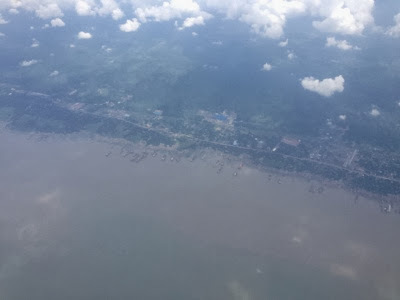 We took off 10 min after the Jet Prop and we are the last to leave Myanmar for a flight to Paro, Bhutan of about 4 Hours, we also have to adjust our watches, 30 Min earlier. 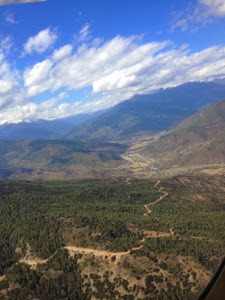 Never ever have nine privat Aircraft landed in Paro, this is a first time for both parties. The guys from Paro even sounded a bit exciting and nervous. We will arrive one by one, it is a difficult approach, we all had a detailed briefing. 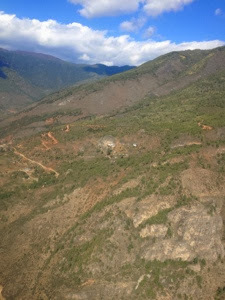 An order of departure was set and therefore an order of arrival in Bhutan is also set. As only one aircraft at the time can enter the valley discipline and careful planning is required. The valleys are surrounded by 4000+ m high mountains. 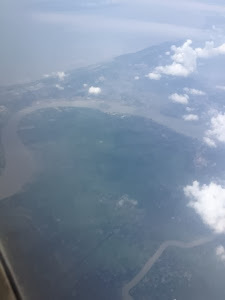 We are now crossing over Chittagong, Bangladesh; what a big city. Huge rivers and a huge harbour. We can see massive ships, mooring alongside the coastline for about 10 kms. 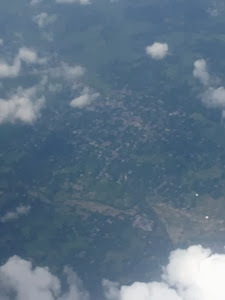 As we fly along we see many villages and many really wide and big rivers, it seems to us that Bangladesh is much more densely populated than Myanmar. 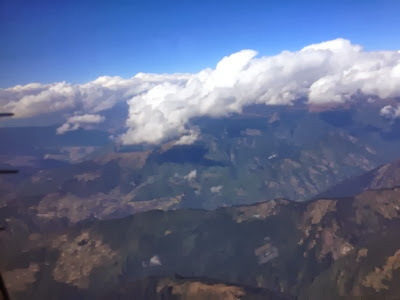 We cross the country boundary to Bhutan, around us clouds, little turbulances etc, we are in contact with Paro Controller and everything feels very excited. I wiill end here and Dietmar can continue the events of the approach to Paro. Some pictures. It took us one and half hour drive to our Hotel, a very interesting drive and we are looking forward to spending three days in this Kingdom. We had not even been to our room when we were approached and asked to go down to a blessing done by the resident monk. He prayed for us, gave us Holy Water to drink and sprinkle over our head and after this 2 minute blessing we were free to go. It was beautiful and we appreciated this gesture very much. Before supper we were invited to go to a performance of cultural songs, dances and instrumental music that took place around a fire pit in the yard of our hotel. It was so enchanting that we were able to relax and just enjoy the night after this strenuous, difficult and long journey of the day. 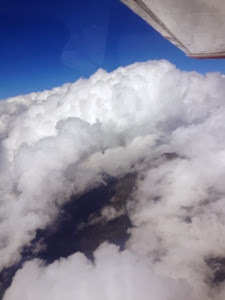 da ich auch jeden Tag den Bericht in P&F verfolge, las ich bereits von Euerem Anflug durch das letzte Loch in der Wolkendecke. Ihr liefert nun das Bild dazu.